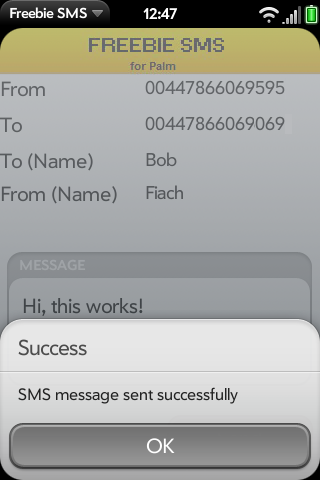 FreebieSMS is a utility that sends SMS for free by sending the message over the Internet rather than the airwaves. It currently only works for UK users, but all networks in the UK are supported. The source code for this app is available at our blog, and we do have opportunities for affililates or partners interested in promoting this app in other countries.